A prequel to HAXAN. Before he became a U.S. federal marshal in Haxan, John Marwood rode with a band of killers up and down the Texas/Mexico border. Led by Abram Botis, an apostate from the Old Country, this gang of 13 killers search for the fabled golden city of Cibola, even riding unto the barren, blood-soaked plains of Comancheria. And in this violent crucible of blood, dust, and wind, Marwood discovers a nightmarish truth about himself, and conquer the silent, wintry thing coiled inside him. "LONESOME DOVE meets THE PUNISHER . . . real, gritty, violent, and blatantly uncompromising." 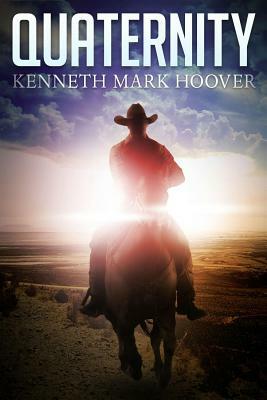 Kenneth Mark Hoover is a professional writer living in Dallas, TX. He has sold over 60 short stories and is a member of SFWA and HWA. His fiction has appeared in BENEATH CEASELESS SKIES, ELLERY QUEEN'S MYSTERY MAGAZINE, STRANGE HORIZONS, and many others. You can read more at Kennethmarkhoover.com.